So excited about 2013, there’s so much on the horizon! I’m so thankful for the design work that continues to keep me busy! In the last month I finished a concert flyer invitation and tickets for a little girl in Australia, a LEGO themed birthday invitation for a soon-to-be 8 year old boy, and now I’m working on a baby announcement for my dear friend’s little girl who was born in November! Wishing you all a very happy new year! Cheers to 2013! 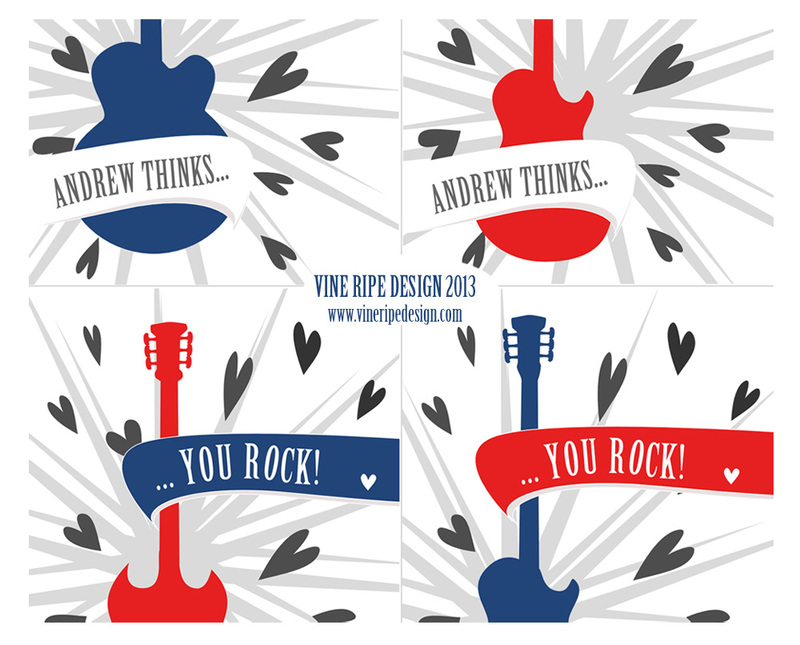 Welcome to the relaunch of Vine Ripe Design! I’m so excited to be unveiling unique new products. It’s an exciting time at Vine Ripe, please stay tuned! Our etsy shop will open very soon!